1 x .303in Bren Machine Gun (AA Mount). Turret Sides: 51mm + 13mm. Variants Around 233 Mk. Is were converted to Mk. IIs in 1942, with addition of a 75mm ROQF Gun. Notes The Centaur was really a version of the Cromwell with the main difference being that it was fitted with the same Liberty engine found in the Cavalier. 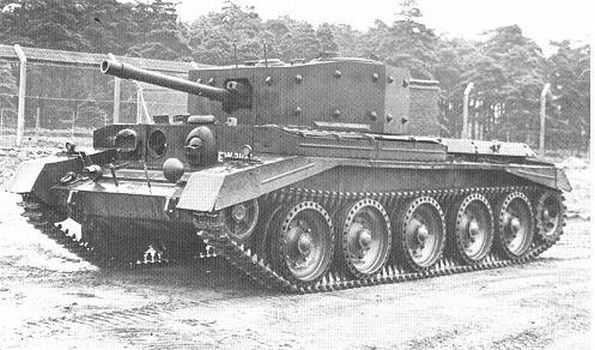 Even though after trials the engine proved inadequate production went ahead regardless, resulting in many being used as training vehicles, some were re-fitted with Meteor engines and re-designated as Cromwell’s.